Chrysler expects nearly a third of Jeep sales this year will take place outside the U.S. Pictured is the Jeep Grand Cherokee S Limited, which was created for Europe. DETROIT (Reuters) -- The 62-year-old Jeep brand is poised to get a sweeping multibillion-dollar overhaul that will expand the product range, boost its overseas presence and knit the fortunes of Jeep and U.S. parent Chrysler even more closely with those of Italy's Fiat S.p.A.
Fiat, which took management control of Chrysler after the U.S. automaker's 2009 bankruptcy, plans to broaden the Jeep stable from four to at least six nameplates by 2016, Reuters has learned. Three of those future Jeeps will be built on Fiat platforms, according to two industry sources familiar with Chrysler's and Fiat's future product programs, and several will share their underpinnings with companion models from Fiat and its premium European brands, Alfa Romeo and Maserati. Fiat CEO Sergio Marchionne is masterminding the four-year retooling that is intended to establish Jeep as one of the Italian automaker's core global brands. It is far and away the most ambitious effort to elevate the Jeep brand, which traces its roots to the iconic World War II military vehicle and has had multiple owners over the past seven decades, including French automaker Renault SA and German automaker Daimler AG. "Jeep probably has the strongest global reputation of any brand inside the company -- but it's never really been developed," said David Cole, chairman of consulting firm AutoHarvest and a longtime industry analyst. That has begun to change under Marchionne, who has been pushing for greater integration of the Fiat and Chrysler product ranges, while singling out Jeep for special attention and heavy investment. The renewed focus on Jeep is paying off. U.S. sales through November are up nearly 16 percent, and Chrysler said the brand -- now sold in more than 120 countries -- expects this year to beat its previous global sales record of 675,000 vehicles in 1999. Nearly a third of those sales, about 218,000, will come from overseas markets. To facilitate Jeep's global growth, Marchionne has decreed that virtually every future Jeep, except for the long-running Wrangler, will share its major underbody components with one or more Fiat group brands. A Chrysler spokesman declined to provide more specific details. Marchionne this past week announced that Fiat will spend $1.3 billion to build baby Jeeps alongside Fiat-branded siblings in 2014. The two small crossover vehicles share common chassis and powertrain components and will be exported from Fiat's Melfi plant to markets around the world -- a new twist on Jeep's long-running international saga. 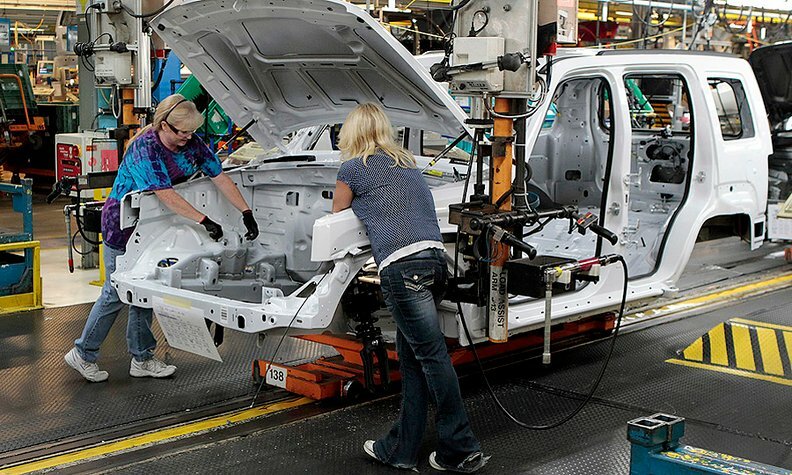 In Ohio, Chrysler is pouring $1.7 billion into its Toledo manufacturing operations, which next summer will begin turning out a new mid-size Jeep, a replacement for the now-defunct Liberty. The new model may revive the Cherokee nameplate and eventually will spawn a premium companion for Alfa Romeo, most likely in 2015, sources said. Both vehicles are aimed at global markets and will be derived from the same Fiat/Alfa Romeo architecture that underpins the 2013 Dodge Dart, they said. 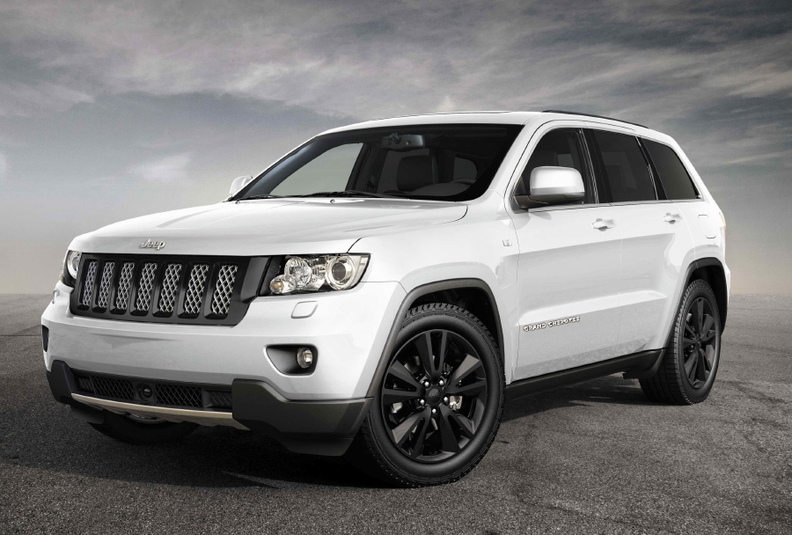 In Detroit, Chrysler's Jefferson Avenue plant will begin building the facelifted 2014 Grand Cherokee in January and is slated to assemble an even larger, more luxurious seven-passenger derivative in 2014 that will resurrect another familiar Jeep name, Grand Wagoneer. Earmarked for production in 2015, probably in Italy, is a more exclusive Grand Cherokee spinoff, the Maserati Levante, a premium product that Marchionne has been discussing publicly for more than a year. With the new baby Jeep -- it may be called Scamp -- anchoring the low end of the range and the new Grand Wagoneer at the high end, the brand also is preparing to replace its slow-selling compacts, the Compass and the Patriot, with a single model in 2014, the sources said. This as-yet-unnamed model, like the Liberty replacement, will be built on a Fiat platform and assembled in the United States. And, as with virtually all future Jeeps, it is intended to be exported around the world. Chrysler designers and engineers also are working on replacements for the Wrangler and the Grand Cherokee for 2016-2017, the sources said. Those two models -- the Wrangler was introduced in 1987, the Grand Cherokee in 1993 -- remain cornerstones of the brand in the United States, where Jeep sales this year are expected to reach 470,000. Chrysler stopped building the Jeep Liberty SUV in Toledo this summer to ready the plant for a new Fiat-based SUV. Analysts caution that Chrysler and Fiat need to be careful not to stray too far from the qualities -- including rugged styling and a go-anywhere reputation -- that have been part of Jeep's personality from the beginning. "Jeep is one of the brands in Marchionne's treasure chest that must be protected, nurtured and grown," contends Jane Nakagawa, a former automotive product planner and now senior vice president of strategic planning for consultant interTrend Communications. "There's a lot more opportunity with authentic, yet differentiated product extensions." While Wrangler and Grand Cherokee remain the best-selling Jeeps, it is through such new models as the Italian-built mini-crossover that Fiat and Chrysler hope to expand the brand's presence outside North America. With a rich history, a diverse owner base and a name that is recognized around the world, Jeep is "the brand without borders," added Rebecca Lindland, director of research for IHS Automotive. "Jeep is one of the few American brands with virtually no baggage," said Lindland. "It is a charismatic brand with global appeal." Part of that appeal dates to World War II, when the first open-top utility vehicles were developed and built for the U.S. military and quickly were dubbed "Jeeps." Willys, which continued civilian production after the war, trademarked the Jeep brand name in 1950. Since then, Jeeps have been built in at least 20 countries on six continents, by a variety of manufacturers and licensees, including Renault, Daimler, Mitsubishi Motors Corp., Kia Motors Corp. and Mahindra and Mahindra. And that does not count several smaller U.S. automakers -- such as AMC, Willys and Kaiser Motors -- that have long since fallen by the wayside. Marchionne's evolving global strategy for Jeep has its unlikely antecedents in tiny American Motors, whose corporate parent, French automaker Renault, sold it to Chrysler in 1987, after deciding it could not afford to support a global marketing effort to promote Jeep. Under Chrysler, Jeep production has been centered mainly in the United States, with exports shipped to all corners of the globe. "This is not new territory -- Renault and AMC planned to take Jeep global in the mid-1980s," according to Bill Chapin, a former executive who headed international marketing for the Jeep brand after AMC formed the Beijing Jeep joint venture in China. The concept of Jeep as a global brand "is still as valid today as it was then," added Chapin, who is now president of the Automotive Hall of Fame in Dearborn, Mich. "Hopefully, Fiat has the wherewithal to pull it off -- to expand the product range and the reach, and still maintain the 'Jeep-ness.'"